Peace On Earth And Good Will to YANKEE FANS!?!?!?!? Last Friday I found myself in one of those situations that lawyers dread. I needed to have five hearings, in three different courts, in two different counties, at roughly the same time. Therefore I had to drive to Manassas by 9 am and PRAY that I get out of there fast enough so that I could make the half hour drive to Fairfax by 10. And since it was so close to Christmas, my clients were demanding and stressed about having their children with them for the holiday. Almost everything depended on getting my 9 am cases called at the front of the docket. In turn, getting called early is almost entirely dependent on how the court staff (in this case the bailiff) decides to call the cases. If he takes pity on me, great. If not, well I could be in Manassas all morning and all the phone calls in the world to Fairfax assuring the court that I was on my way, wouldn’t get the Fairfax judge to resolve the matter in my clients’ favor and therefore wouldn’t keep my Fairfax clients from wanting to skin me alive. Oh great. A Yankees fan. My fate was in the hands of a Yankees fan. This day couldn’t get any worse. Naturally, I have seen lots of rivalry kidding through my almost 50 years of being a baseball fan, but God help me, this guy wasn’t fooling around. Figures. Only a Yankee fan could be this much of a jerk. Over a baseball team. Are you freaking kidding me? I leaned back exasperated, trying to figure out how I scheduled my Friday so poorly and wondering if anyone needed to be fired (including, perhaps me). The bailiff, noticed my despair and glared at me. I sighed again. He glared again. Harder. And then he winked at me and smiled. Somehow, my case was called up first in line. FIRST!!!! I thanked him and I was off to Fairfax. My life was spared for one more Christmas season. All because of the benevolence of a Yankee fan. Wow. 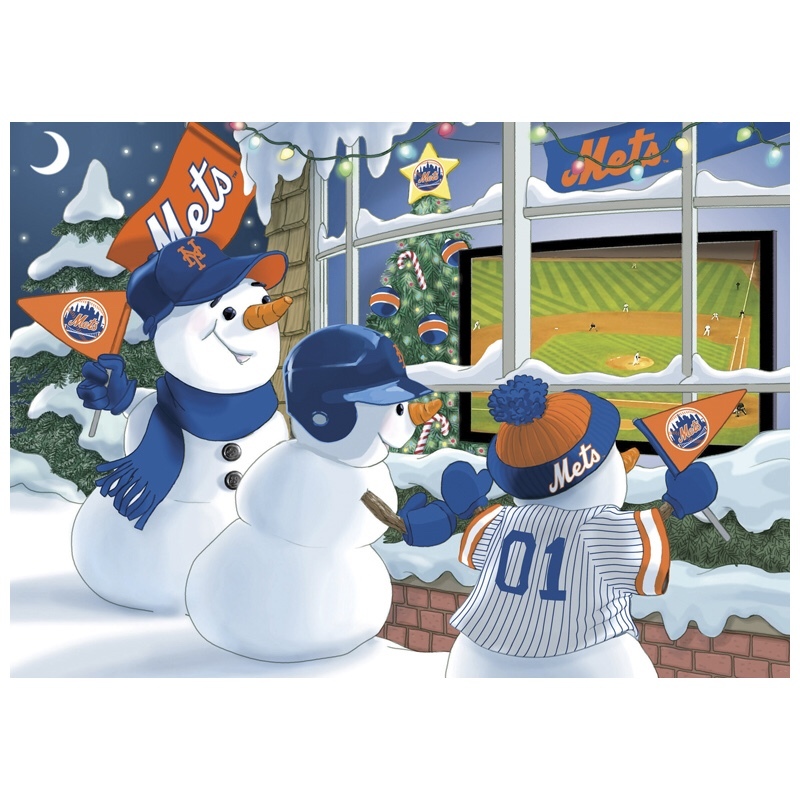 So Merry Christmas, Seasons Greetings, Happy Holidays, and Happy New Year to New York baseball fans one and all. Wherever ye may be. Even Yankee fans. Heck, maybe especially Yankee fans. And until opening day, may God hold you all in the palm of His hand.